As the days get shorter and the cold rolls in we only have one thing on the brain. A vacation to the warm and sunny tropical paradise of Secrets Resorts & Spas. We can’t think of a better way to spend the holidays than relaxing on the beach enjoying Unlimited Luxury® with your special someone. Trading in the hustle and bustle of holiday traffic for endless sunshine is the perfect way to celebrate another great year. Take a look at what we have in store for you this holiday season. The Festival of Lights will be in full swing this year at Secrets Resorts & Spas. The traditional eight night celebration is being brought to the tropics. Enjoy themed activities, games and more as you celebrate in the inviting sunshine in the world’s most beautiful destinations. The holiday cheer is wrapped up with a bow at Secrets Resorts & Spas this December. 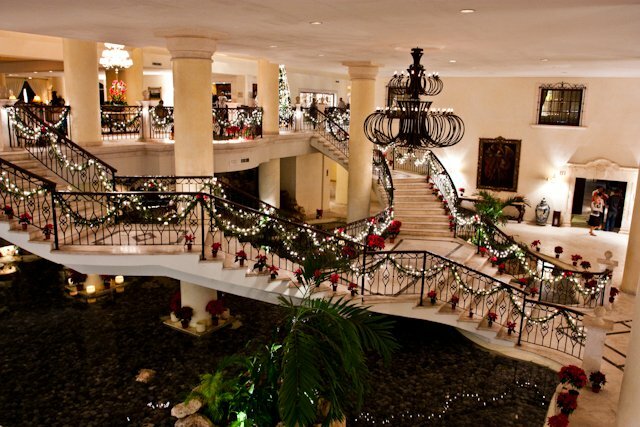 Around every corner you will find Christmas décor, music and activities as we celebrate one of our favorite holidays. Entertainment will include a spectacular Christmas dinner and buffet with all your holiday favorites, making this a celebration you won’t want to miss! 3…2…1. Happy New Year! While all good things must come to an end, at Secrets Resorts & Spas New Year’s Eve is just the beginning! 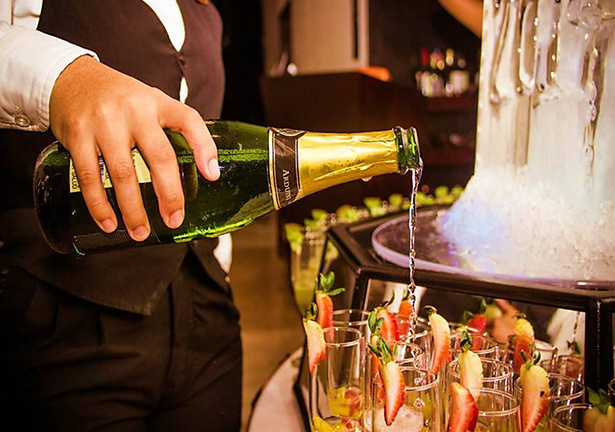 Join us as we ring in 2016 with Unlimited Luxury. 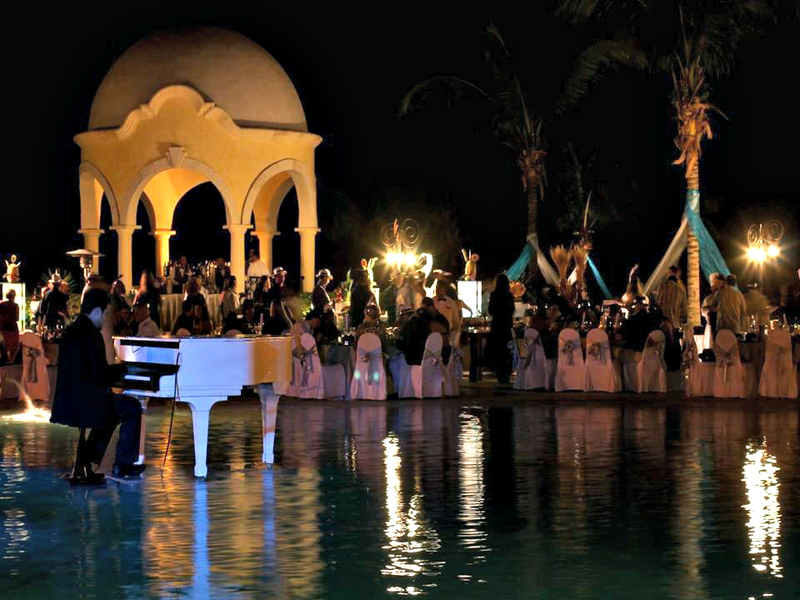 A gourmet buffet, dining and dancing till dawn are all waiting for you on our pristine beaches. Don’t forget about the spectacular New Year’s Day brunch and get ready to celebrate and relax all over again! We can’t wait to celebrate an amazing 2015 with you this holiday season and cheers to an even better 2016! Check out our latest special offers and book your vacation today! The holiday season is the best time of year! Complete with delicious food and celebrations, plus tons of time to spend with the people you love the most. The only downside is that stress that often comes with this time of year. At Secrets Resorts & Spas we keep it stress-free! Imagine your holiday celebration with no traffic, a stunning view and not a care in the world other than which drink you should order. Check out what we have in store this holiday season and plan a stay today! Our resorts will dazzle with decorations adding lights and cheer to every corner. Our guests can enjoy delicious “home-cooked” meals without doing the cooking! 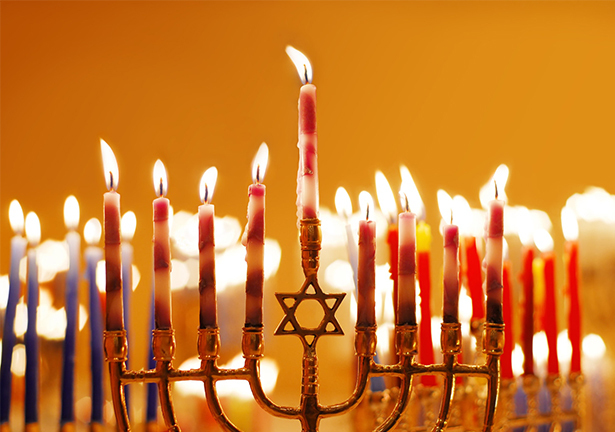 Don’t forget, each year we have a special appearance from Santa Claus and a celebration of Hanukkah traditions. 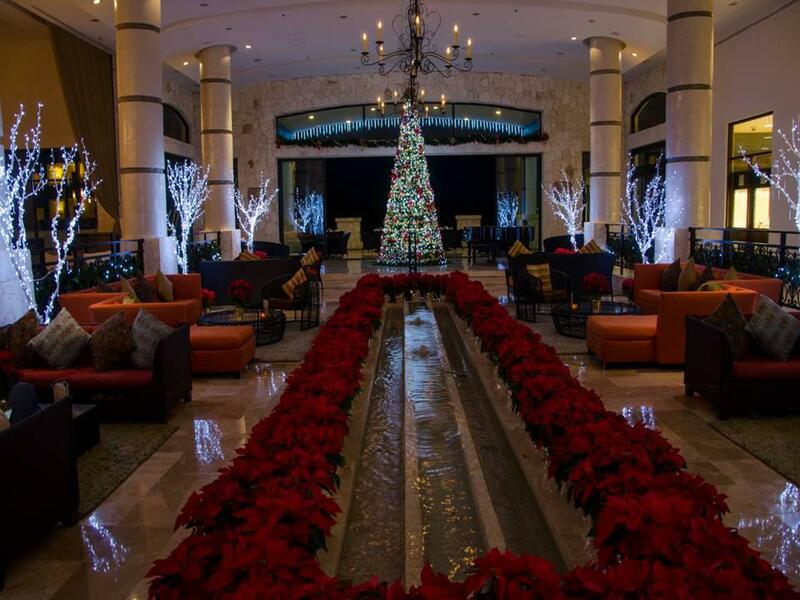 The grand enterance at Secrets Capri Riviera Cancun gets a little grander this time of year! Whether you’ve had a great year or you can’t wait for a new start, end 2014 and start 2015 with a bang at Secrets Resorts & Spas! Join us as we toast to new beginnings and another year of health, happiness and more vacations! Come to our elegant soiree with delectable food, fancy drinks and great company. Count down the moments to midnight and start the New Year in a gorgeous tropical location. Select properties will feature a fireworks show, please check with your concierge for details. 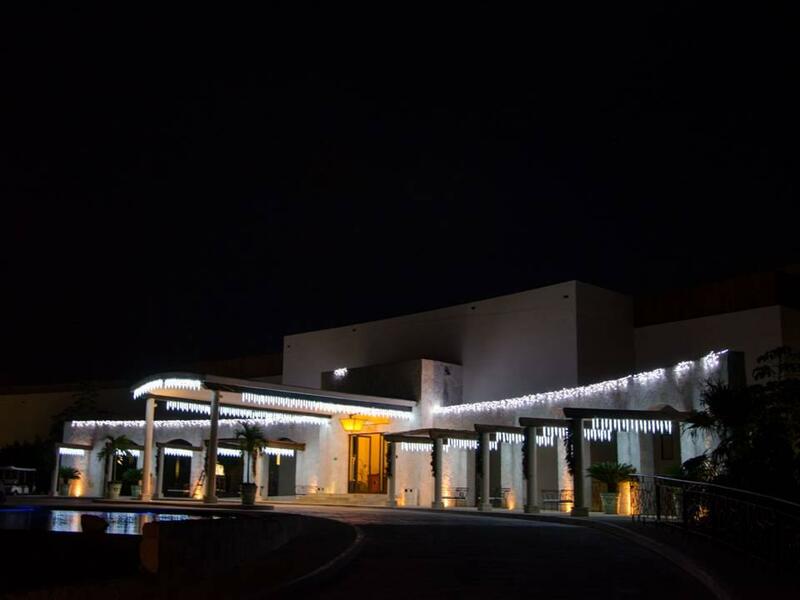 Secrets Capri Riviera Cancun knows that an elegant, romantic evening is a great way to end a great year. Are you spending the holidays with us? Let us know and check out pictures for all our past celebrations on Facebook and Twitter! 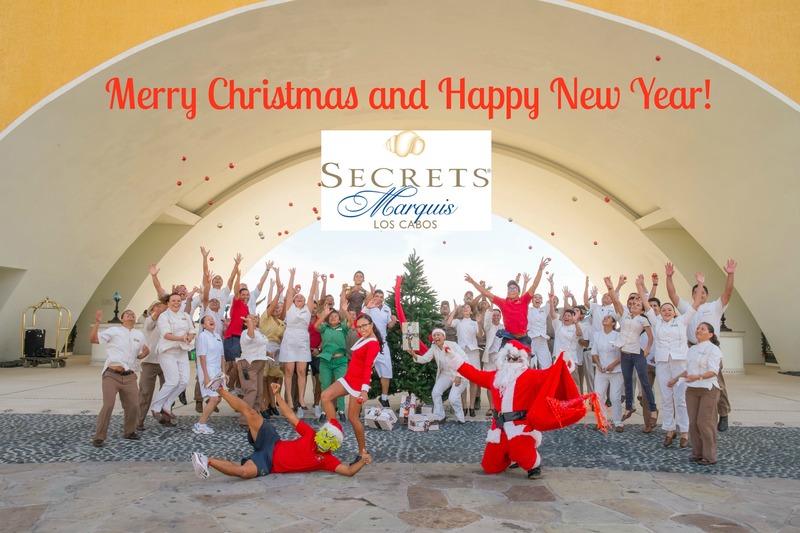 Merry Christmas and Happy New Year from Secrets Marquis! Who says you need snow and ice to get in to the holiday spirit? Every year we transform Secrets Resorts & Spas in to a winter wonderland—minus the chilly temperatures! 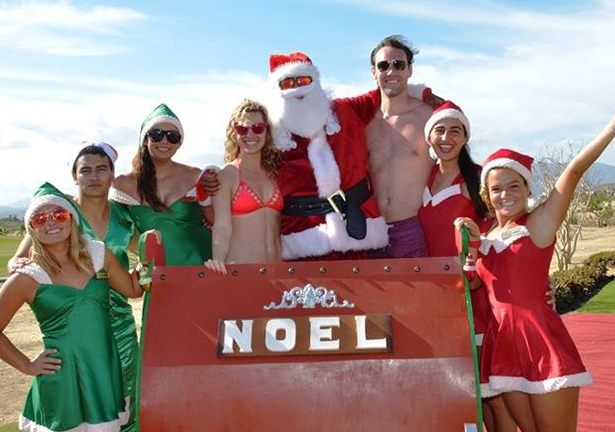 Come celebrate the most wonderful time of the year here with us at Secrets, where our version of a white Christmas involves pristine sandy beaches. Check out our festive décor below and you’ll be in the holiday spirit in no time! 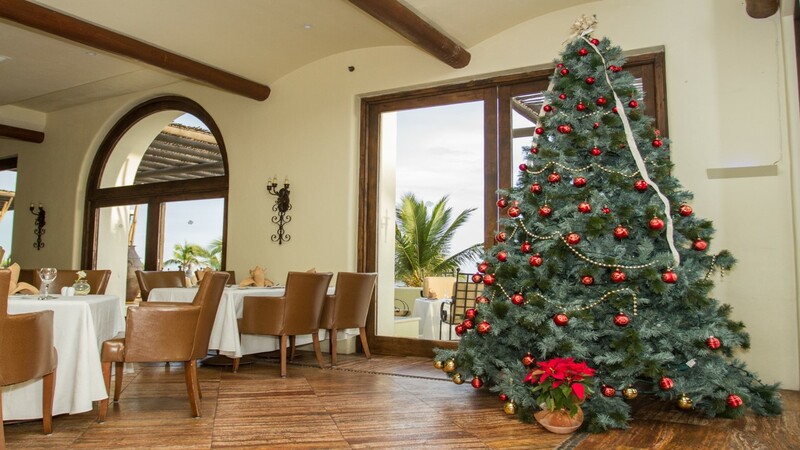 The beautiful Christmas tree at Secrets Marquis Los Cabos glistens for the holidays! 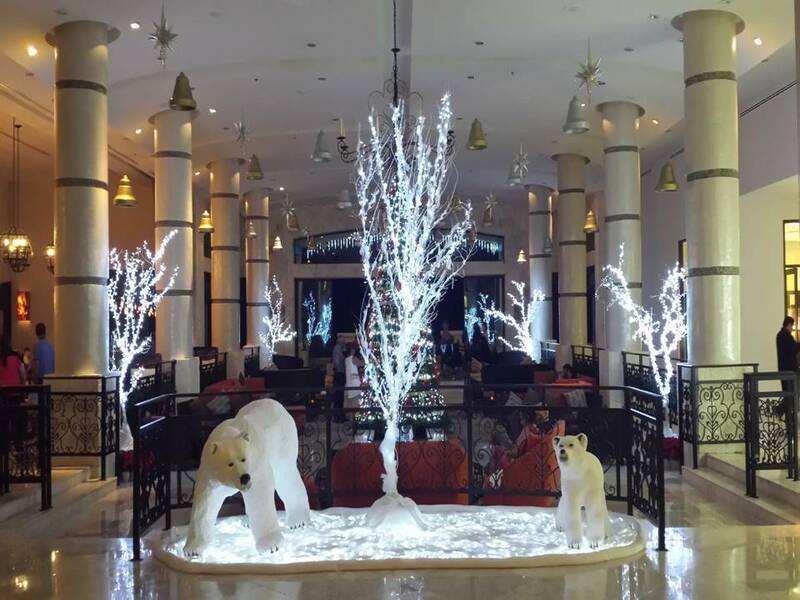 The lobby at Secrets Maroma Beach Riviera Cancun is transformed into a winer wonderland! 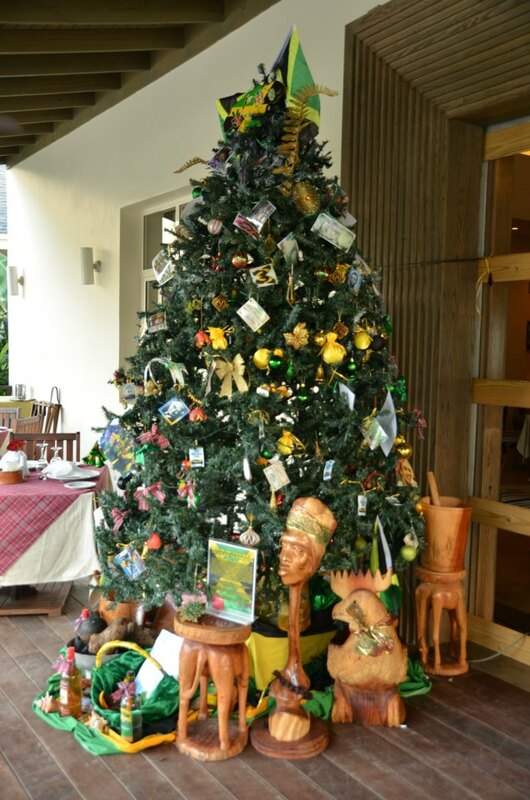 Secrets Wild Orchid Montego Bay Christmas Tree Contest! Loving the Jamaican-inspired Caribbean twist. An elegant holiday display at Secrets Maroma Beach Riviera Cancun. 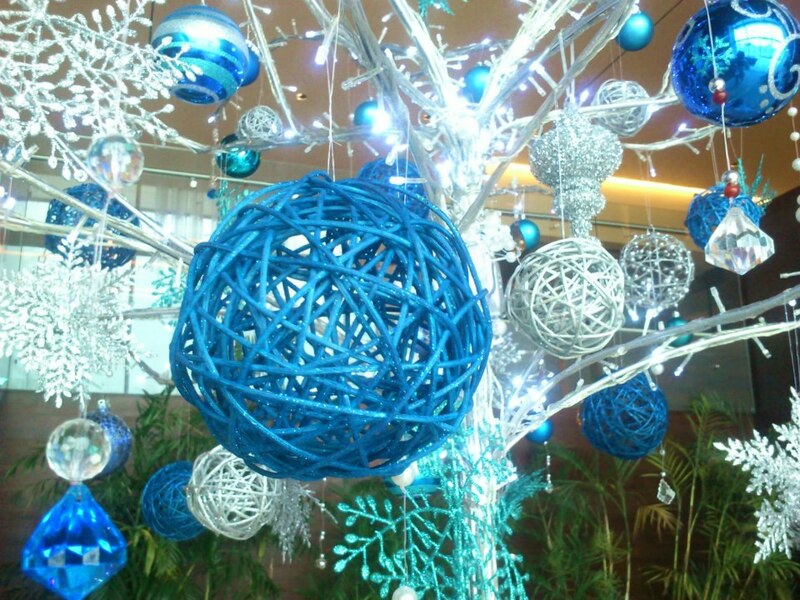 Secrets The Vine Cancun went with a lovely frost blue theme for the holiday season. 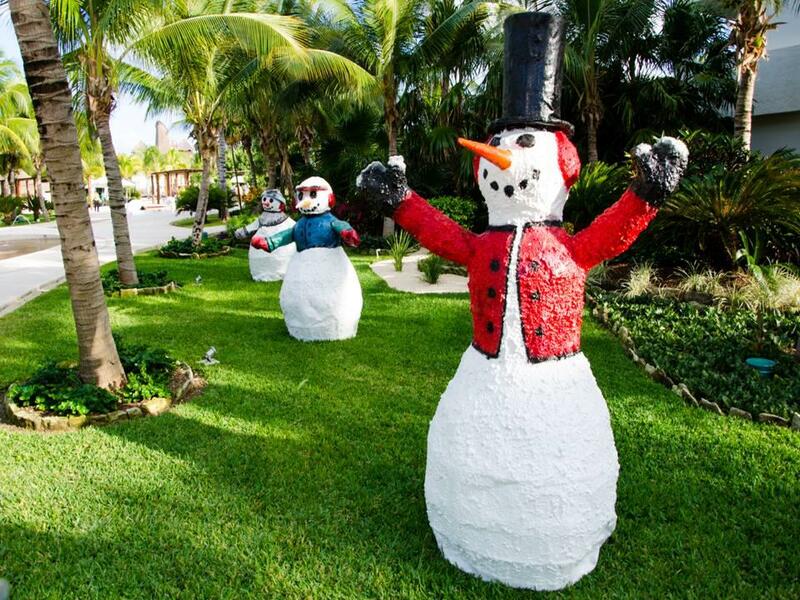 These snowmen sure look happy to be down south where it’s warm and sunny. Come to Secrets Maroma Beach Riviera Cancun where you can enjoy pretty icicles without the winter weather! 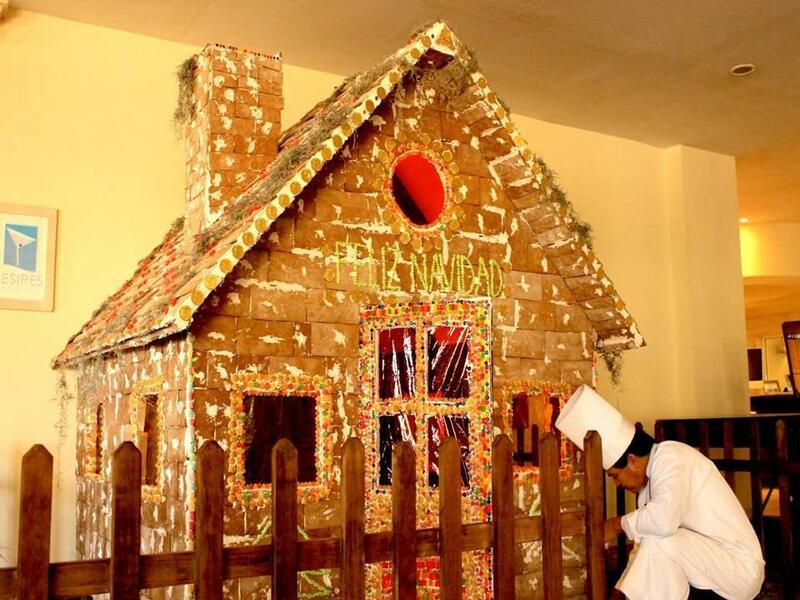 This Secrets Capri Riviera Cancun gingerbread house is almost life-size! Lucky guests of Secrets Marquis Los Cabos have the opportunity to burn off a few extra calories the week before Christmas with the help of Stacie Dooreck, our visiting fitness professional. From December 18th to 25th, Secrets Marquis is offering classes for all levels! 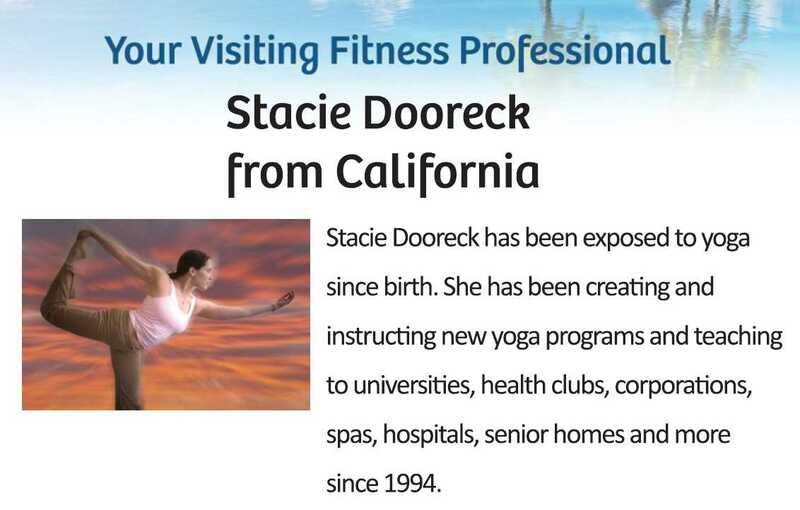 Stacie Dooreck brings expertise in Sivananda Yoga, Gentle Yoga, Kundalini Yoga, Prenatal Khalsa Way Yoga & much more. Clear your mind, refresh your spirit and join Stacie at her classes! We’ll have visiting fitness gurus throughout the year at Secrets Marquis, enjoy the complimentary classes during your next visit! 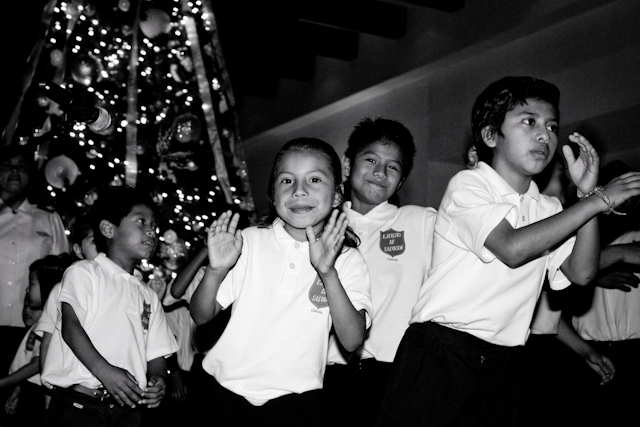 While Christian Americans enjoy a big holiday celebration on Christmas Day, Christians in Mexico have their celebration on Three Kings Day or El Dia de los Reyes. This holiday is celebrated twelve days after Christmas on January 6th. It commemorates the day the Three Wise Men (Melchoir, Gaspar, and Baltazar) arrived in Bethlehem to bring gifts to baby Jesus. It is believed that the Three Kings saw a comet that announced the birth of Jesus. They followed it through the desert until they found the stable were Jesus had been born, on the dawn of January 6. They gave the child offerings of gold, incense and myrrh, which are offerings that would not usually be made to a child, but to a god. Today, the tradition is very similar to Santa Claus. The children write letters to the Three Kings with their gift requests. On the night of January 5th, the children leave sweets for the Three Kings and grass and water for the camels and go to sleep early. When they wake up the next morning, presents are there. The holiday is also a day for family gatherings and small gift exchanges between adults. 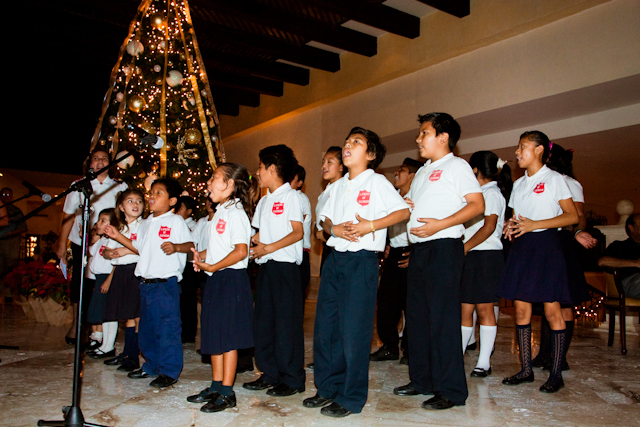 At Secrets Capri Riviera Cancun, we have plans to make Three King Day very special for the children of the Salvation Army Orphanage. 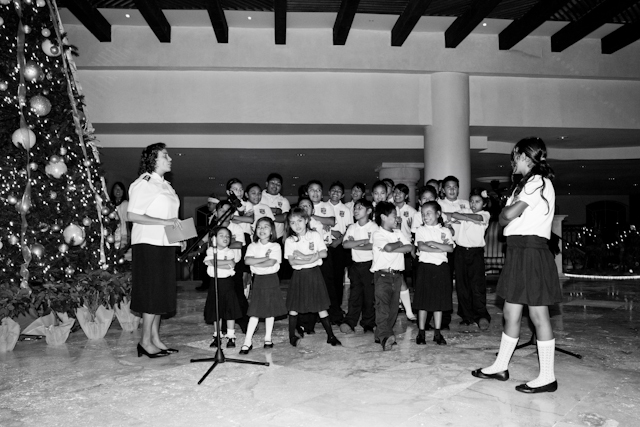 These children were kind enough to visit our resort on Christmas Eve to sing Christmas carols for our guests. 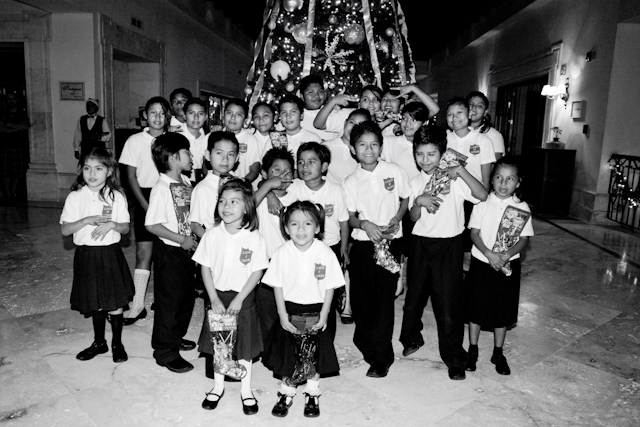 We have invited the children back to our resort on January 6th to shower them with gifts! We are so excited to give these children a special day to remember. 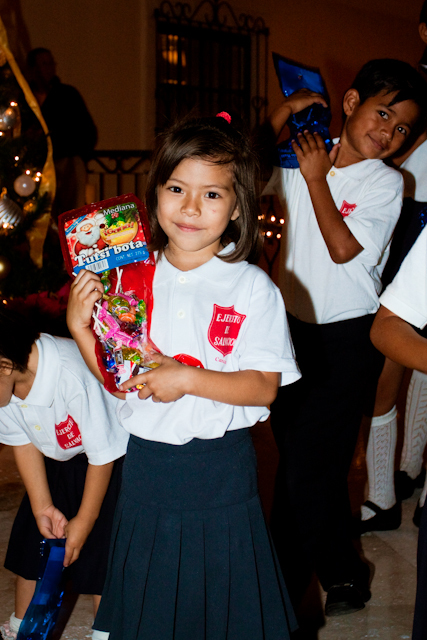 If you’re planning to visit us during this special holiday, feel free to bring gifts to give to the children too!